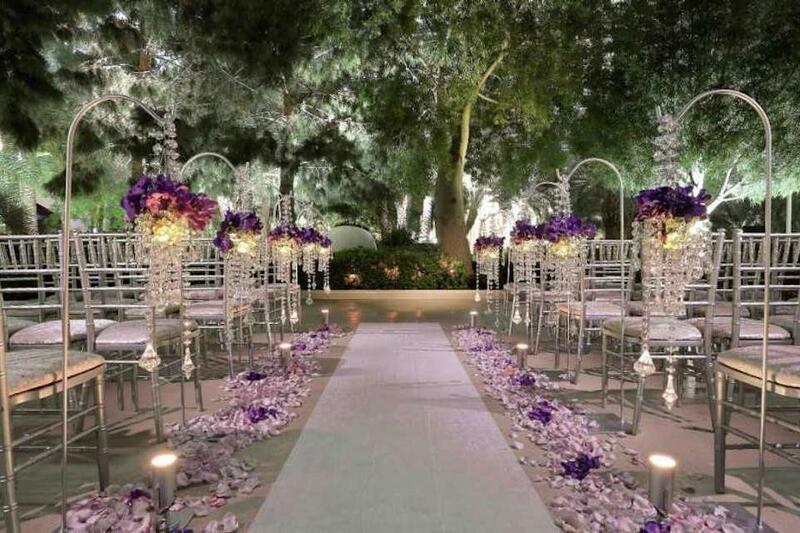 Rent ARIA Weddings | Corporate Events | Wedding Locations, Event Spaces and Party Venues. For a truly breathtaking backdrop, look no further than theGALLERY featuring Dale Chihuly at ARIA. Here, stunning contemporary works of glass art, created by internationally renowned artist Dale Chihuly, make for a dramatic statement. Couples are able to get married anywhere in the gallery and space is available for up to 70 guests. This venue is also available for intimate cocktail-style receptions. Commemorate your love affair at BARDOT Brasserie. Celebrate in the exquisitely appointed private room with your closest friends and family, seating up to 48 guests comfortably. Then, partake in the classic French brasserie fare for your dinner reception following the ceremony. For this venue, a dinner reception must accompany the ceremony.